WASHINGTON — A partial government shutdown that had shuttered NASA and a number of other agencies involved with civil and commercial space activities came to at least a temporary end Jan. 25, five weeks after it started. President Trump signed a continuing resolution (CR) late Jan. 25 restoring funding to government agencies whose appropriations lapsed when the prior continuing resolution expired Dec. 22. The CR was passed on voice votes in the House and Senate after Trump, in a White House address earlier in the day, said he would agree to such a spending bill to reopen government agencies. The CR came after weeks of acrimonious debate about including $5.7 billion for border security funding in a final 2019 spending bill, funding sought by the White House but opposed by Democrats, who now control the House. The CR, which funds government agencies through Feb. 15, includes no additional border wall funding, which will be negotiated separately. Trump, in his White House speech, suggested he would allow the government to shut down again in February if he does not get his desired funding. 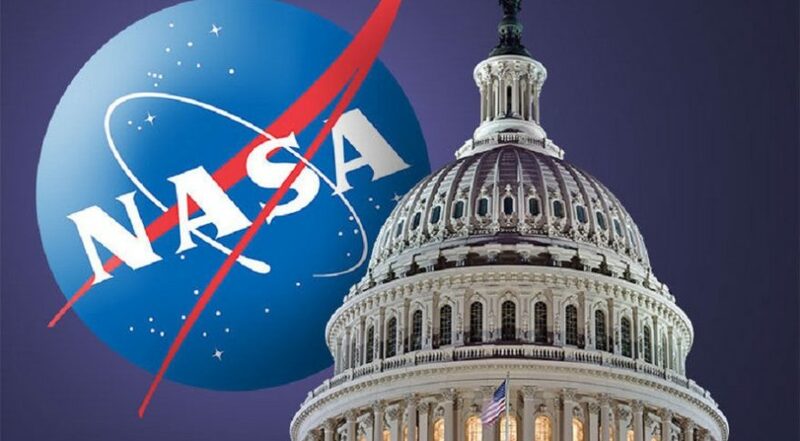 The shutdown had halted all but the most essential operations at NASA and many other agencies, including the Federal Aviation Administration, Federal Communications Commission and National Oceanic and Atmospheric Administration. At NASA, about 95 percent of the agency’s civil servant workforce was furloughed. The CR will allow normal operations to resume, although it may take several days for agencies to get up to speed given the record-setting duration of the shutdown. “As you return to work, we ask your patience and attention, especially during the first 48 hours,” a NASA memo, dated Jan. 25, stated, citing the need to catch up with long-overdue maintenance to computers, phones, and other information technology infrastructure not carried out during the shutdown. Prior to this deal to reopen the government, the International Association of Machinists and Aerospace Workers, or IAM, a union that represents employees for a number of NASA contractors, announced plans to hold a protest against the shutdown Jan. 26 in Cape Canaveral, Florida. That rally will go ahead, an IAM spokesperson said Jan. 25, but will focus on getting back pay for contractors affected by the shutdown who, unlike civil servants, are not guaranteed wages and salaries for time lost during the shutdown.